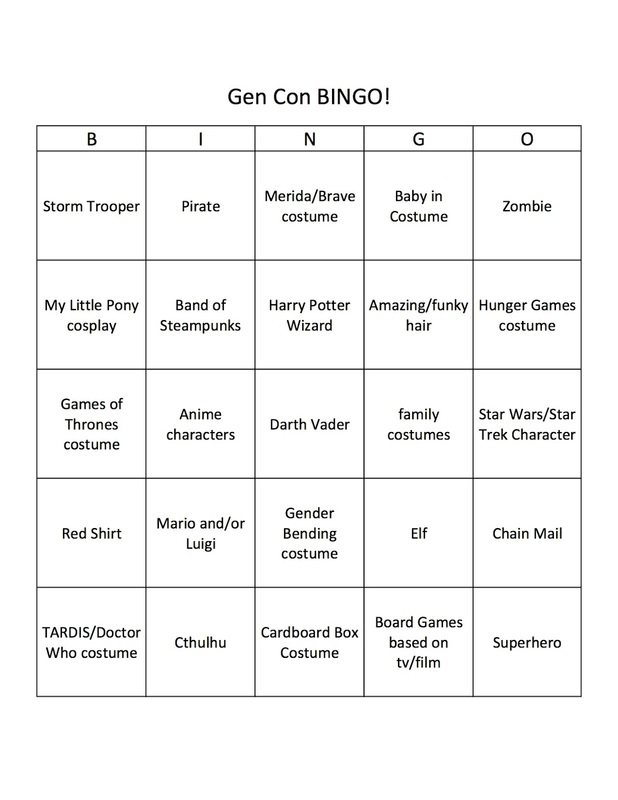 It's that time of year to unveil my annual Gen Con BINGO card. Here is this year's iteration. 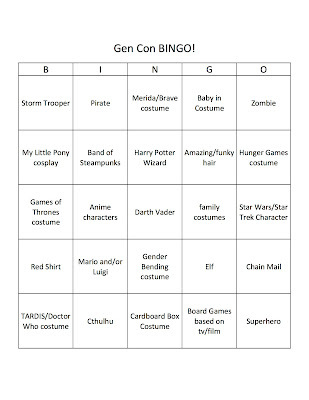 My rules: I try to play blackout BINGO to make it more fun. I usually fail but have a good time trying. I try to take pictures of everyone/everything I see on the card, but sometimes the opportunity doesn't present itself. Also, it's polite to ask before taking someone's picture. I create the card based on things I think I might see. Some years I guess better than others. Yes, there are a few givens by design because it shouldn't be impossible to fill the card! Updated 8/19/13: I filled all the squares except Red Shirt this year. That's usually an easy space to fill. Just goes to show that every year is a surprise.